In Washington State Native Americans have the highest pedestrian fatality rate. While Washington is one of the safest states on the Pedestrian Danger Index overall, Native Americans have higher rates of fatal traffic collisions and the difference in Washington is particularly notable since all other ethnic groups’ fatality rates are lower than national averages. The 2014 Dangerous By Design report cites Seattle’s NE 125th Street as an example of a successful redesign. Smart Growth America and the National Complete Streets Coalition released a report called “Dangerous by Design 2014” that examines the most dangerous places to walk, the characteristics of dangerous roads, and the populations most threatened by dangerous street design. A study conducted by Portland State University and University of Arizona in downtown Portland found that twice as many drivers failed to yield for African American pedestrians compared to white pedestrians. 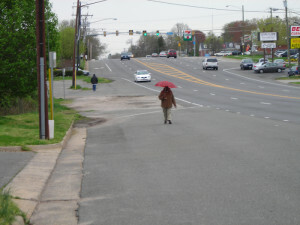 African American pedestrians also had to wait a third longer for cars to stop when they had the legal right of way. WIRED and Square teamed up to show that the most pedestrian-friendly ballparks generated a lot more revenue for local merchants on opening day. Streetfilms profiled Jason Roberts of The Better Block on the fourth anniversary of The Better Block in Oak Cliff, Texas. This temporary pedestrian plaza shows how you can transform a street using temporary materials. 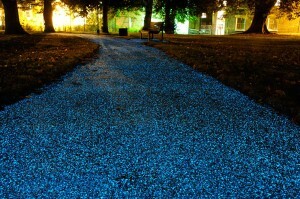 Heated, solar paneled, and glow in the dark sidewalks are some of the ways cities across the world are re-thinking the traditional concrete pathway. A study titled “Planning and Designing Transport Systems to Ensure Safe Travel for Women” examines data from two Indian cities, Vishakhapattanam and Delhi, to compare the travel patterns of women and men. The survey shows women travel shorter distances, are more dependent on lower cost modes like walking and public transport, and perform multi-purpose linked trips.